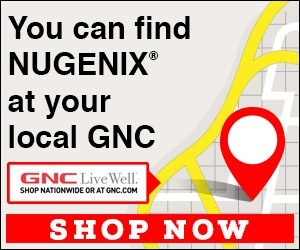 Next review Nugenix - Got charged $74.98 for free Sample. Nugenix - BEWARE. You'll call and cancel and be charged $75!!! Oct 12, 2017 Juan – We offer multiple options to purchase our products. Customers can buy them at local retail stores like GNC and Walgreens, they can buy single bottles or bundled bottle discounts directly from us, or they can purchase through the trial program. Our trial program allows customers to test the product for 18 days and make a determination if it is for them or not. At the end of the 18 day trial, customers who have not canceled are put into our subscription program. Customers may cancel any time during or after the trial period. The first communication we received from you, after ordering, is when you emailed to cancel 3 days after your monthly billing. Your account was canceled and you were issued return instructions on how to get a full refund. If you need additional help, please don’t hesitate to contact us back directly. tried the free 14 day trial but I never agreed to pay for any more.Now I have a charge on my credit card. They say no records of calling but I did and that was well before an 18 day grace period. And they say it's in the confirmation email which I never received and explained that to them. PURE CROOKS. Maybe a blog should here about this. Review #1111694 is a subjective opinion of User1111694.